Opportunities available in lighting, wigs and make-up, costume, technical theatre, scenic art, and scenic carpentry. Applications for 2016 are now closed. The Royal Opera House is now recruiting six new apprentices to join in September 2016. Positions will be available in the Scenic Art, Scenic Carpentry, Costume, Technical Theatre, Lighting and Wigs and Make-up departments. The ROH apprenticeship scheme has been running since 2007 and currently has 17 apprentices employed across 12 different disciplines. Apprenticeships run for two years and are located at the ROH's Covent Garden or Thurrock sites. 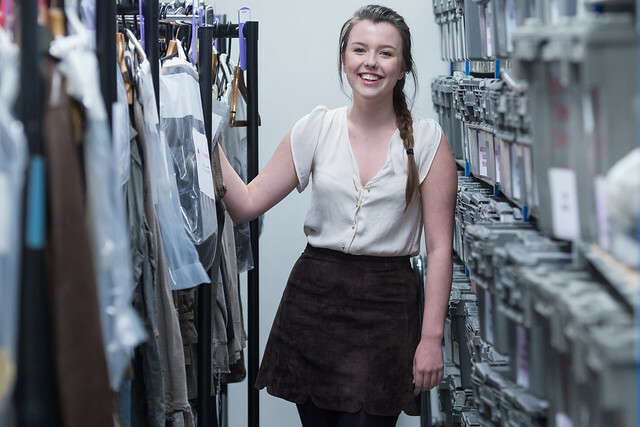 The Costume department position will be the first apprenticeship to take place in the new Costume Centre at High House Production Park. Past apprentices have gone on to further work-related training or to work for other organizations in the industry, including the BBC, Southbank Centre and National Theatre. The closing date for applications is 8am on Monday 13 June. Please note, applicants must be 18 years old or over. See full details of our apprenticeship scheme and how to apply. My name is Busisiwe Veronicca Masemola. Iam a post graduate student from the Tshwane University of technology (TUT). I have studied Performing Arts technology under Entertainment technology. I have specialist in Stage management, lighting,props and makeup. My other subjects are decor, costume, hairstyling,arts administrator, sound and theatre history. My dream was after graduating I want to work on a cruise ship as part of technical crew/ theatre crew. I've been trying to apply then someone told me about the your company then I googled i was very interested then I got the email. can you please help me to apply, if the are forms that I need to fill up please send me or tell me how to apply. il appreciate to hear from you thank you. Thanks for getting in touch. We list all of our current vacancies here, so keep an eye on this page for opportunities. We also announce job vacancies on our social media channels, so make sure to follow us on twitter for the latest.